Le Mans 24 Hours legend Tom Kristensen and double World Rallycross champion Johan Kristoffersson are the latest drivers to sign up for the 2019 Race of Champions in Mexico. Kristoffersson sealed back-to-back World RX titles with the PSRX Volkswagen outfit earlier this year, and made his debut in the Race of Champions in Saudi Arabia in 2018. He will again represent Team Nordic in the Nations Cup - the format in which the WRX driver took three wins from three races in the 2018 qualifiers - alongside Kristofferson. Kristoffersson also made it as far as the semi-finals in the individual Race of Champions segment before WRX team-mate Petter Solberg knocked him out. "I'm super excited to be back at the Race of Champions for the second year," said Kristoffersson. "Last year was a good experience with some good battles before I was beaten by my rallycross team-mate Petter Solberg, so this year I'm out for revenge! "It's a big challenge to compete against some of the best drivers in the world, but the aim is still to come out on top. Most importantly I will have fun and enjoy the racing." Nine-time Le Mans winner Kristensen will contest the Race of Champions for a 15th time - equalling the record for the most appearances alongside 1984 World Rally champion Stig Blomqvist. Despite retiring from motorsport following the 2014 World Endurance Championship season, Kristensen said the Race of Champions continues to be his "one exception". 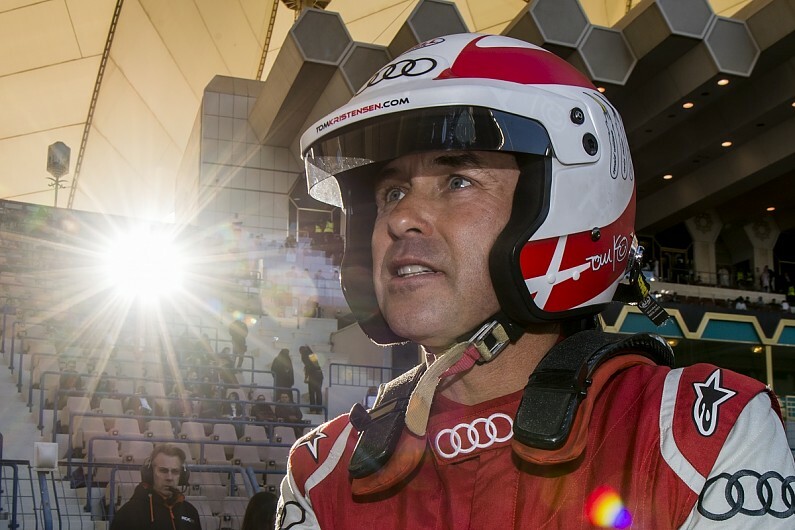 "ROC is a very special event and I am always very honoured to take part," he said. "The challenge is to race against top drivers from a wide range of motorsport series. "It is a lot of fun to take on the young guns too, and I'm especially looking forward to teaming up with Johan on Team Nordic. "I first met him in Gotland in Sweden when he was still a boy - and I've followed his impressive career with great interest ever since." Kristensen is still yet to win the Race of Champions outright, but added "hopefully I can rectify that in Mexico City at long last." "Either way, it's always a great weekend and we also enjoy meeting up with race fans from all over the world. Most of all I hope we can give all the fans in Mexico a show to remember." ROC President Fredrik Johnsson said: "It's wonderful news that Tom and Johan will be coming to ROC Mexico in January. "Johan is so dominant in the FIA World Rallycross Championship at the moment, it is no surprise he made such an impressive ROC debut in Riyadh. "Now he's sure to be one of the leading contenders in Mexico City. But first he'll have to see off his Team Nordic partner Tom, who will be equalling Stig Blomqvist's all-time record for ROC appearances so he has experience on his side. "Who will come out on top? We look forward to welcoming you to Mexico City in January to enjoy the show."